8. 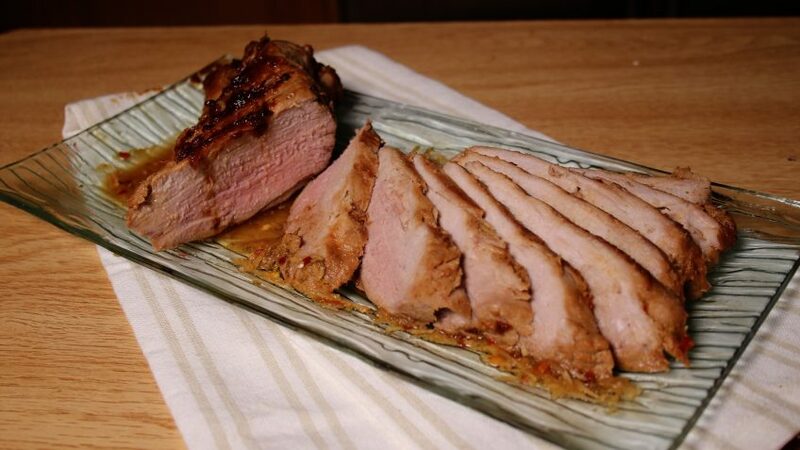 OPTIONAL but RECOMMENDED: take the pork loin out of the marinade and pat dry on a paper towel. Place a skillet on medium high and add 3 tbsp of grapeseed oil. When the oil is sizzling, put the tenderloins into the oil and brown to a crispy state, rotate until the tenderloin has been browned all the way around. Put the tenderloins back into the casserole with the marinade. 18. While the meat is on the BBQ, pour the sauce into a small deep pot and simmer to reduce to the same consistency as liquid honey. This sauce is to be poured over the meat when served. As mentioned in the cooking directions, Thai-styled tenderloin can be prepared to perfection either done in an oven or BBQ. Serve with a fresh green salad or Jicama salad. If you do not need both tenderloins, after it has marinated, place the whole second section into a large freezer bag which you have labeled. 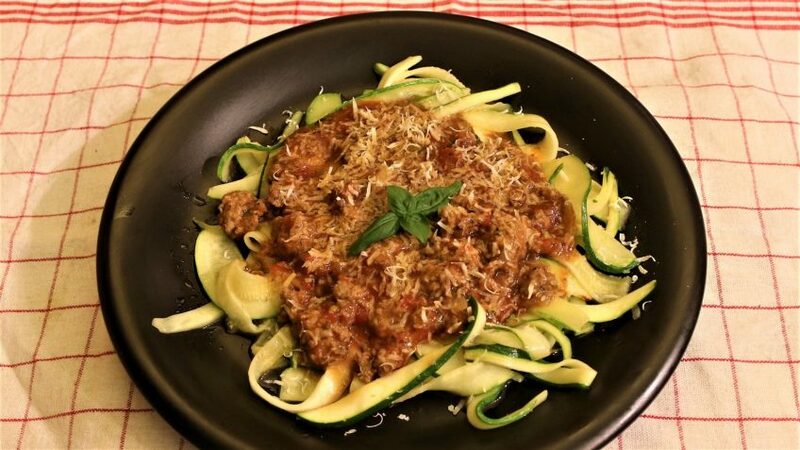 Store in the freezer until the next time you have a craving for this delicious meat. Remember to take out of the freezer the night before you want to use the meat and let it thaw in the refrigerator to maintain the tenderness of the meat. 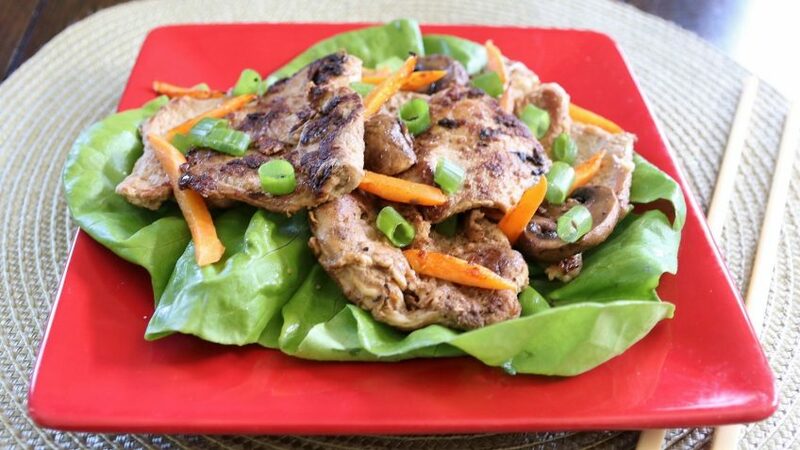 You can serve the pork with a Thai green salad or as a wrap with a leaf of Romaine lettuce, or thin slices of jicama. 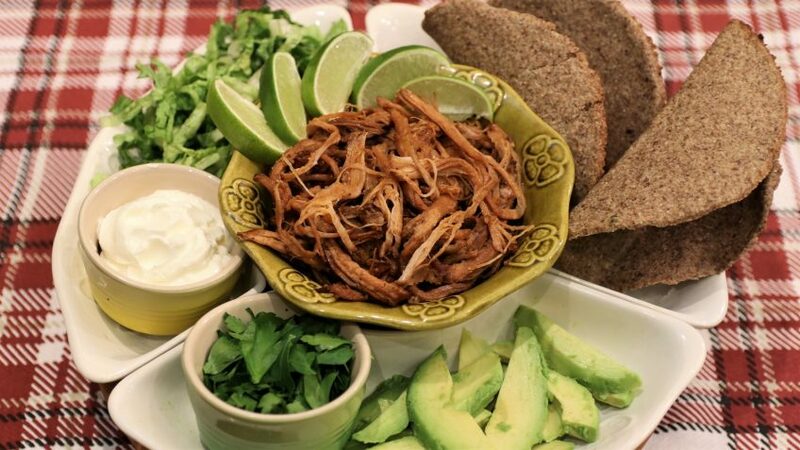 If you are serving wraps, use the sauce either as a sauce on top of the meat or as a dip. Enjoy!